“A pirate’s life for me, savvy?” Come spend 4 days sailing the brigantine Irving Johnson across an uninterrupted horizon of deep blue ocean. You and your “watch” will take turns running the ship day and night including: standing bow watch, going aloft on the mast, heading out on the yard arms, plotting a course at the navigation table, taking a turn at the wheel, and reading the stars and deck compass. 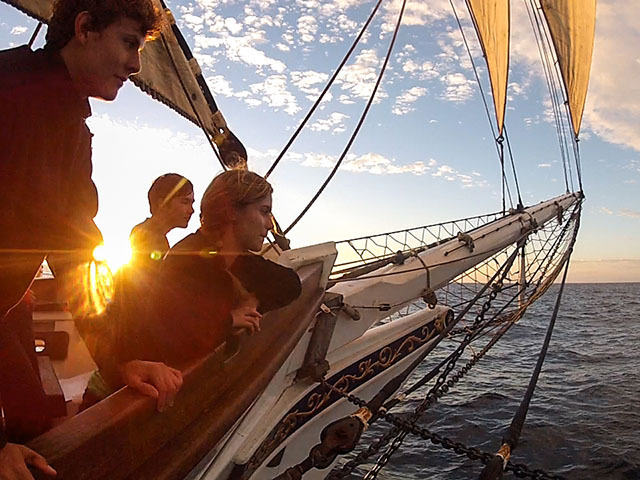 You will learn all aspects of tall ship sailing, the life of a sailor and much more. Back on land we’ll explore San Diego before this adventure concludes. This will be the trip of a lifetime that you will be able to share with your new USD friends.